Visit us on Facebook & see some of our latest projects. 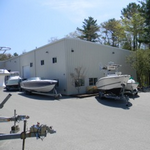 Glass Tech Boat Services has become one of the most trusted boat storage and winterizing facilities on Cape Ann. We offer a full range of storage solutions for your boat including indoor heated winter storage. Please check our boat storage and winterizing pages for more information including packages, rates and policies. Jeff Wilk is highly specialized in the areas of fiberglass and gelcoat boat repair. Everything from small chips and scratches to major structural repair, he can offer solutions to every problem. Jeff provides the highest level of quality on all boat repair and is known all over Cape Ann for his workmanship. 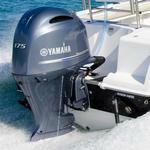 We offer general service and maintenance on all major brands of inboard engines & outboard motors including Yanmar, Honda, Evinrude & Caterpillar. Please call us today to schedule a repair to your engine, general maintenance or a tune-up. (978) 281 – 2608. Working with Jeff at Glass Tech has been great. Not only does Jeff do outstanding work on a timely basis, but he takes pride in what he does as though he is working on his own boat. Jeff is also very practical about addressing problems and coming up with reasonably priced solutions. I am very pleased to praise the work that Glass Tech has done for me on my commercial lobster boat. The work was completed on time, at the quoted price and, most importantly, was of the highest quality. I would go back for further work at any time. I thought my boat was in great shape. The last thing I wanted to do was spend the money waxing it. After discussing my options with Jeff Wilk and touring your facility I realized my boat didn’t just need to be washed and waxed. I also realized how easily polishing it can be done wrong. I am glad I took Jeff’s advice and went the distance to what was ultimately a restoration of the finish on my 31t Contender. The boat looked as good as the day it came off the factory line. It was like getting a new boat, but I didn’t have to break in the motors. I just wanted to thank you for being who you are and setting a new standard for boat storage and maintenance. As you know, I stored my 31′ Cabo at GlassTech last year both because I wanted the boat to be inside in a heated storage area and also because I had some fiberglass, electrical and generator work to do on the boat. I was very pleased with the storage area which allowed my various electrical and mechanical contractors to do their work indoors in a welcoming and pleasing environment — for such a horrible winter season. It was great. And further, I wanted to congratulate you for doing your work on time and to a very high standard of excellence. In this boating world, it often seems impossible to get someone to do a job on time, when they say it will be done — and your work was completed well ahead of schedule — a new experience for me in Boating. Moreover, the work you did on my hull was great. It looks like new. Thanks. It is a pleasure to work with you and I look forward to storage of my boat again next year. In fact, because I was so satisfied with the indoor storage, I may store a second boat there too!! A few years ago I bought a 36 foot Northern Bay that ran from Montauk, Long Island to the Canyons. While it was in good structural and mechanical condition it was clear that making it into a comfortable cruising boat would take a lot of work. Jeff helped me convert a charter fishing boat into a cruising boat and the project included almost every type of work imaginable.From soda-blasting, fairing, barrier-coating, and painting the bottom to cutting out the helm station and building a completely new one to accommodate all new electronics. To spraying non-skid gelcoat on the decks, repairing all of the nicks, gouges, and other imperfections inside and out and wet-sanding, buffing, and waxing the hull to make the boat look new. Without Jeff and his team I wouldn’t have the boat I enjoy so much today.